Own with no bank » Don’t think you can buy? Don’t think you can buy? Well,don’t be so sure. We approve on average about 85% of the applications that we receive. Most people can buy, they just didn’t know it. You probably can too. 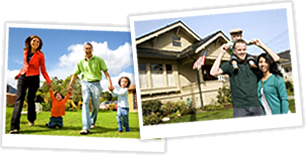 Don’t waste another day without owning a home. Remember, everyday that you own and pay for a home you are building equity. Everyday that you rent an apartment…well you are renting an apartment. So start today on your path to home ownership. You will be glad that you did.